the entire online session and in Real-Time. Many companies spend large amounts of money trying to avoid fraudster to compromise their clients data, using phishing techniques, to achieve an account takeover (ATO). Thanks to the highest account takeover detection rate in the market, with less false positives, buguroo is able to identify the user Behavioral Biometrics and differentiate legitimate users from fraudulent ones. Fraudsters usually tries to bypass authentication challenges using several techniques like Remote Access Trojan (RAT), malware, webinjects, form-grabbers and others. bugFraud offers a unique approach, combining techniques of “white” list, “black” list and “grey” list within the anomalies detection and classification engine, preventing fraud before it happens. 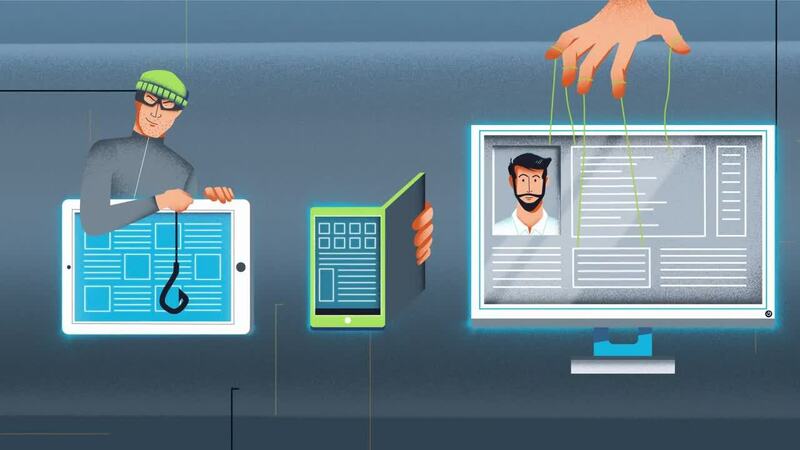 bugFraud uses Deep Learning algorithms powered by an Artificial Intelligence Neural network to identify fraudsters or bots trying to impersonate legitimate users. Detect suspicious users and prevent attacks from happening. bugFraud gathers Behavioral Biometrics patterns and environment information to prevent fraud from the first login by detecting anomalies in screen pressure, typing speed, mouse or mobile movements, gyroscope position and more. Knowing your customer (KYC) avoids Account Takeover (ATO). Our anonymized user data technology ensures compliance with cybersecurity industry and data protection standards (PSD2, GDPR,etc..). bugFraud predicts in One-Shot that the cybercriminal is trying to commit fraud during the onboarding phase (NAF) or from first-time login onwards, by recognizing criminal behavior and differentiating those behaviors from other users. bugFraud can detect unkown malware campaigns aiming to manipulate the content that the user is watching on their Web browser or Mobile Applications (Web injections, MiTB, RAT, RitB), regardless of whether or not the interaction matches a known malware signature. Our approach goes beyond the known signatures or blacklist, analyzing whether web page navigation has been subverted by fraudsters. bugFraud classifies grey anomalies to avoid false positives and false negatives. bugFraud is a flexible next generation solution able to adapt to the evolving landscape of fraud and its constantly morphing threats. Our hybrid engine combines real time anomaly detection with Machine Learning models to ensure your company is protected throughout the entire session, from Onboarding until the user log out, and in real-time against emerging campaigns. bugFraud does not require users to install any software intheir devices. This completely transparent system secures banking transactions behind the scenes, without delivering any alerts that might alarm the user. Moreover, customers are protected regardless of the device (PCs, laptops, tablets, or smartphones), OS or browser improving their user experiece.